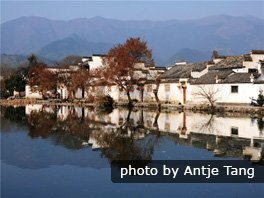 To see old Ming and Qing courtyards, beautiful preserved countryside, shop for souvenirs and country products, and sightseeing, walk and dine, go to this amazing small village and the nearby villages and countryside. Though it is only 28 hectares in size, it has landed a place in the World Heritage List for its long history, country scenery, and well preserved buildings dating hundreds of years. March and April is the right time of the &apos;sea of flowers&apos; in the countryside around it and Tachuan Village that is next to it. 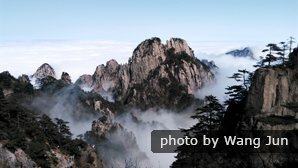 Ingenious use of elements of water, trees and gardens, and farmland produced a beautiful setting for the Wang Clan&apos;s daily life over many generations. 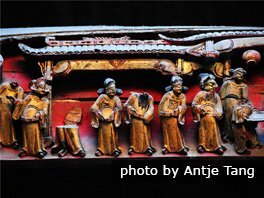 Residences and sights to be seen in a tour include Chengzhi Hall that is known for it&apos;s engraved art. It is covered with gold sheet and painted with colors. 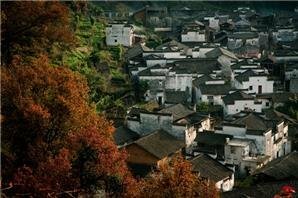 Xidi Village is another old clan village that is listed as a World Heritage. 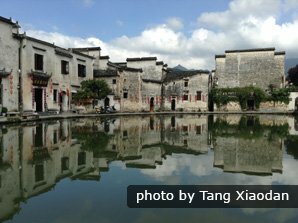 There are well preserved Ming Dynasty era courtyard gardens and houses. 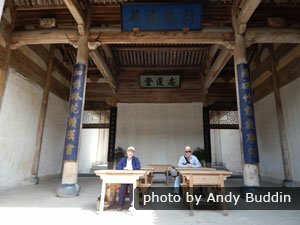 It is more authentic and less touristy than Hongcun. It is only about a half hour drive to the south. It has memorial archways and many memorial halls. The ancient halls and houses attract many students here to do sketching. 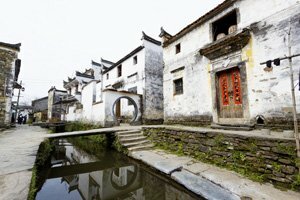 Hongcun is popular. 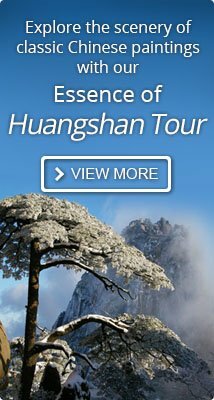 Chinese tour groups with noisy loud speakers frequent the area during high season. Schools and universities let out for summer vacation in July, so there is a influx of families and young visitors eager to see the area until August. It is best to avoid Friday and Saturday during high season when weekend tourists crowd in. Make hotel reservations in advance during high season. 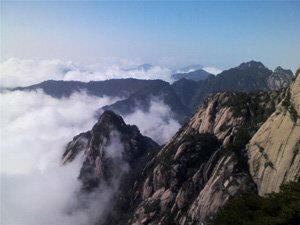 Yellow Mountains flights and hotel rooms are relatively more expensive, and train tickets may be difficult to obtain. 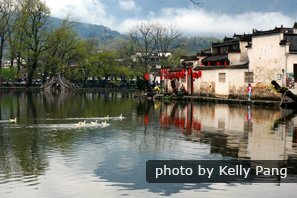 See our 3-day Yellow Mountains and Hongcun tour for inspiration. 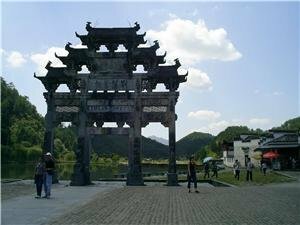 Or contact us to tailor-make a Hongcun tour according to your interests and time constraints.